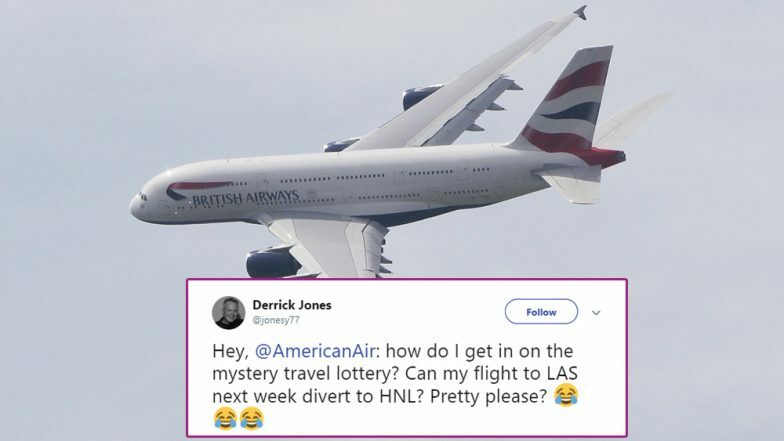 British Airways Flight For Germany Lands 500 Miles Away in Scotland And Now Social Media Wants to Sign Up For This Mystery Travel Lottery! People take flights to reach their destination quickly. But the passengers on a British Airways flight were left shocked when their flight from London bound for Dusseldorf in Germany landed at Edinburgh in Scotland. An air steward started begging the passengers to not film the error, and some people could not help but laugh at the blunder. They also announced that the flight will head directly to Dusseldorf and reach within one and a half hour. The error occurred because of an incorrect flight plan, which had all the cabin crew and pilot believing the flight was headed to Scotland. British Airways Blooper: Flight to Germany Lands in Scotland by Mistake. This flight was operated by WDL Aviation. The incorrect plan was filed at the WDL Aviation's office in Germany. After landing in Edinburgh, the plane once again took off for the right destination. People on the plane were confused when they saw the approaching landscapes differing from their usual sight. People have managed to find the joke in here and have called it mystery travel lottery. Social media users want to know where to sign up for mystery travel. hahaha! Aw man! Although... 'mystery travel lottery'? That seems like a great business idea! Some even asked other airlines where they would want their flight to diverge. Just as the plane landed, the flight steward asked, "Holey smoley. No one to Edinburgh? No one to Edinburgh?" And when everyone said no, she apologised and asked everyone not to make any videos. It was a hilarious moment for many. British Airways made a statement in which they mentioned that they apologised to each of the customers individually. The flight was refuelled and set off again to the right destination.